If you'd like to see how difficult it can be to follow the counsel of Church leaders and still retain your membership in the church, take a look at what happened last Sunday to LDS blogger Adrian Larsen and his wife, Tausha. They were excommunicated for essentially heeding the advice of one of our apostles. Apostle David Bednar has of late been concerned with how Mormonism is often wrongly perceived and misunderstood, and so last August Elder Bednar gave an address at BYU in which he encouraged individual members to flood the internet and social media, with the aim of correcting falsehoods about the church, promoting truth, and boldly testifying of Christ. This is what Adrian Larsen has been doing with his Mormon-themed blog To The Remnant since early summer: correcting falsehoods, promoting truth, and boldly testifying of Christ. But because Adrian did so, last Sunday a high council was convened in his stake and he was expelled from our society for the sin of apostasy. So was his wife, Tausha, in a bizzare, highly unusual double-excommunication proceeding in which both were tried and sentenced together in the same proceeding. Both had been devoted members of the Church of Jesus Christ of Latter-day Saints all their lives, yet in one afternoon representatives of that same Church officially declared them to be apostates and pariahs. It is still not clear to either Adrian or his wife why Tausha was given the boot, since she herself had never blogged or written anything that anyone on the High Council ever alluded to. The only thing they can conclude is that Tausha was expelled because of guilt by association. She is the wife of a Mormon blogger. Apparently that is now an egregious sin, in and of itself. It also wasn't clear to either of them from the proceedings what act of apostasy they were accused of having committed, for under the traditional definition, in order to be an apostate one must have at some point renounced his or her former beliefs and and actively fought against Christ and His church, something neither Adrian nor Tausha has ever been accused of. Rather than accuse either of these good people of turning their backs on the faith, the High Council focused their interrogations on a particular post of Adrian's, the fourth part of a series on "Hearsay and Heresy" which he titled Never Led Astray. I found this post to be highly readable and extremely informative. And frankly, I cannot find any factual errors anywhere in it. This piece appears to be right in line with Apostle Bednar's charge to all of us to combat the pervasive misconceptions about Mormonism by countering them with truth. Adrian has kindly given me permission to republish his controversial post below. Perhaps others reading it can detect where he has promoted falsehood rather than truth, or failed to adequately testify of Christ. If so, I hope you will help me understand what the controversy is by pointing those findings out in the comment section afterward. Since the members of the stake high council that excommunicated Adrian and Tausha Larsen acted in violation of scripture, outside their proper authority, and contrary to the counsel given to members by an actual apostle of the Lord who encouraged us all to be actively engaged in countering false information, we can always hope these excommunications will be overturned on appeal to the First Presidency, right? Well, I wouldn't hold my breath. In spite of the numerous assurances by official Church Spokespersons that there is no effort to tell local leaders to keep members from blogging or discussing questions online, Adrian Larsen is only the latest of many who have been disciplined for blogging and discussing questions online. Take a look at this transcript by Brett Larson after he was ex'd, or consider the appalling disposition of Mormon blogger Will Carter's appeal here. But the Church doesn't operate according to scripture anymore. What happens these days is that the Brethren in Salt Lake never do review these cases. Instead they automatically defer to the local leaders as having made the right decision. When you have been officially declared an apostate by men in your stake who hold high callings and important titles, that means they're right and you're wrong. No further review is necessary. Shut up and wear that Scarlett 'A'. UPDATE Monday, October 20: At the very time I was writing an reposting Adrian Larsen's piece, he was posting a follow-up to this one, which contains further insight as to what occurred, what it means, and how we all need to take a close look at the true damage being inflicted on the church we love. In short, this is essential reading. It's important, the kind of thing I wish I had the power to shout from the rooftops. Adrian's latest is entitled 40 Days On Death Row and you can access it by clicking here. Important Notice: I again remind those who wish to comment that posting only as "Anonymous" is no longer allowed. You do not have to use your real name, but if you insist on choosing "Anonymous" from the drop-down menu, you must invent a username and place that either at the top or bottom of your comment so that readers can tell you apart from the many others who for some reason keep choosing to post under the anonymous option. If you have a Google registration, use that one, otherwise it's best if you check the box that says "Name/URL", place your preferred username in in the "name" box, and ignore the box that asks for a URL. That way you can still remain anonymous if you so wish, but then other readers have a handle to address you with when responding. Comments missing any kind of identifying moniker are at risk of being deleted. I'm very strict about this because too many people posting as "anonymous" has created chaos in the past. I'm willing to bet there's no one in Mormondom more misrepresented than Denver Snuffer has been these past few weeks. You'll find no shortage of people willing to tell you all about what Denver Snuffer believes in, or denounce him and warn you away from him based on extensive research they gleaned from hours of vigorous guessing. If there's a problem with Denver Snuffer, it's that there is a veritable glut of wild speculation about him from people who have no idea what they're talking about. 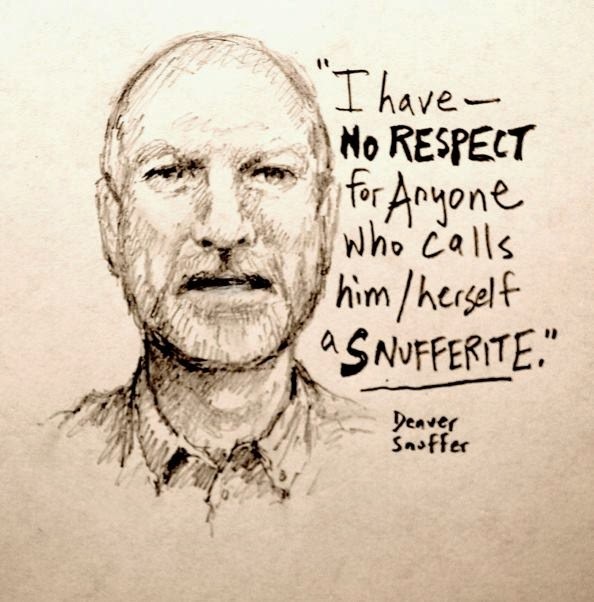 Much of what I’ve heard others say about the mysterious Brother Snuffer is wildly inaccurate, yet declared with an air of testimonial certainty by people who have never heard him speak or bothered to read a word he has written. Normally I'd find such ignorance oddly endearing; maybe even a bit entertaining. But right now I just find it...well, odd. The man does have a website, after all. So anyone can just go over there and have a peek at this mystery man's writings. He has authored ten books, some of which had been available through Deseret Book before he was declared persona non grata from that fine establishment. Those books can still be purchased through Amazon.com and Barnes & Noble. His recent series of lectures, the source of most of the current controversy, can be read online for free. So I'd think it shouldn't be too much trouble to learn something about the man's beliefs by going to the source himself instead of lazily sitting around making up Boogeyman stories. Denver Snuffer is a lot less scary than some would make him out to be. Denver Snuffer was a devout member of the LDS church for 40 years, all the way up until the day they excommunicated him for writing a book. I reported on that incident in my post The Denver Snuffer Debacle. If you are unfamiliar with who Denver is, you may want to read that piece first. Click here. 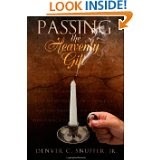 This particular book of Denver's was titled Passing The Heavenly Gift. It is a history of LDS Church leadership. And it is a very good one. No one in the Church hierarchy ever claimed anything in the book was inaccurate. Nevertheless, Elder Russell M. Nelson of the Quorum of the Twelve Apostles took it upon himself to pressure Brother Snuffer's stake president to excommunicate Denver from the church unless he pulled the book from publication. Nelson leaned on Snuffer's stake president for a year and a half until finally Denver got the boot. Overnight an active, believing, devout stake high councilman who always kept his covenants and whose testimony never wavered was suddenly labeled an apostate. Over a book he wrote. A book no one challenged as being in error. This move on the part of Elder Nelson was a serious violation of church law, as members of the Twelve are forbidden to interfere in such matters within the stakes of the church. The scriptures say so, and so did Joseph Smith. But today’s leaders rarely consult the scriptures anymore, and Joseph Smith is dead, so members of the Twelve disobey that instruction all the time. Denver Snuffer, Letter of Appeal to the First Presidency, included as an appendix to the Phoenix Transcript, pg 41-42. https://www.scribd.com/doc/239760895/10-Phoenix-Transcript-Preserving-the-Restoration. "The Twelve will have no right to go into Zion or any of its stakes and there undertake to regulate the affairs thereof where there is a standing High Council. But it is their duty to go abroad and regulate all matters relative to the different branches of the church.” -Joseph Smith to the Twelve, Kirtland Council Minute Book as quoted in Shephard and Marquardt, Lost Apostles: Forgotten Members of Mormonism's Original Quorum of the Twelve pg 85-86. See also D&C Sections 102 and 107. To my knowledge, Russell Nelson has never denied the key part he played in the ouster of Brother Snuffer. If he did he would be lying. Someone has, however, managed to arrange for several members of the Church PR department to lie for him. This keeps Russell Nelson's hands clean and allows him plausible deniability. Despite being excommunicated for “apostasy” (which nowadays means anything the leaders want it to mean), Denver remains a devout believer in the gospel of the Restoration. So he went ahead with his plans for a year-long series of speaking engagements, the overall theme being, as the late Hugh Nibley aptly titled his own book, Approaching Zion. In that book, compiled from speeches and articles written as far back as 40 years ago, Nibley lamented how far we have come from attaining a Zion society, which was supposed to be our principal goal from the moment this church was founded. Nibley asserted that rather than getting closer to Zion, the Church seemed be running lickety-split in the other direction. He noted that the Church in our day has more in common with Babylon than with Zion. He reminded us that Church leaders named Babylonian institutions like the local Federal Reserve branch “Zion's Bank,” which is as close to a slap in the face as you can give to God without hurting your own hand. Nibley made some very pointed barbs toward those in Church leadership, yet no one in the Church hierarchy moved to excommunicate him for his criticisms as they later did Denver Snuffer. Nibley was a beloved and respected Church scholar all the way up until his death at age 95. Nibley's book was published at a time when there weren't that many overt indications that the Church was veering dangerously off track, so back then, Nibley did not succeed in rousing the Saints to their awful situation. Today it's a different story. There is widespread disillusionment among the rank and file. Hugh Nibley is dead, but Denver Snuffer's similar concerns are now resonating with a great many church members. I have not seen Denver Snuffer say anything that a number of renowned LDS thinkers like Hugh Nibley would not have said also. What Denver mostly does is encourage his listeners to return to the scriptures. As Nibley also pointed out, a good many of our scriptures tend to indict those in positions of power who would lead the Lord’s people in a direction other than that which the Lord has commanded -all while assuring us they are incapable of error. A growing number of Saints have awakened in recent years to the reality that the prophecies foretold in the book of Mormon are being fulfilled in our very day. In reading and listening to Denver's lectures, I was reminded of how during my teen and Young Adult years I attended the Church sponsored “Know Your Religion” series wherein various gospel scholars would travel to outlying stakes like mine, where they would present fascinating talks on church history and theology. The things Denver Snuffer teaches in his presentations remind me of things I learned listening to scholars like Truman Madsen and Sidney B. Sperry. Like Brothers Madsen and Sperry, Denver reminded his listeners that we have not been living up to the ideals of the Restoration, and he shows us how we can do better. Nothing very controversial here. Unless you consider the standard works to be controversial. 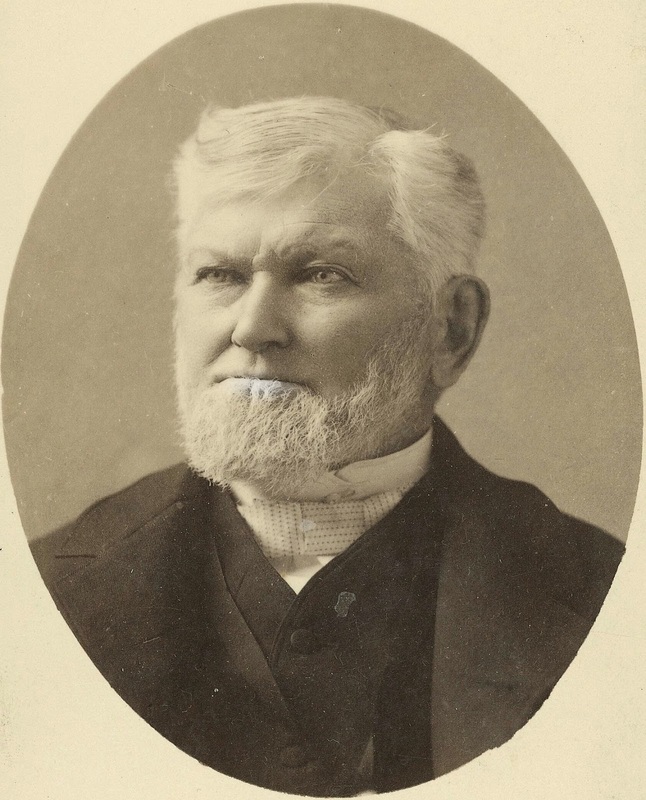 Russell Ballard declared, “Keep your eyes riveted on the First Presidency and the Quorum of the Twelve Apostles. We will not lead you astray. We cannot.” That's quite a promise of infallibility. Too bad Ballard wasn't able to back it up by quoting the Lord in a direct revelation. All we have for now is Ballard's word on it. Recently I’ve heard from several devout members of the church, most of them women, telling me they have been interrogated by their bishops and stake presidents merely because they were known to have attended one of Denver Snuffer's lectures. Four of them immediately had their temple recommends revoked, their church callings rescinded, and told they were prohibited from taking the sacrament. Others I know have been disfellowshiped, and some were excommunicated. On what grounds? “Associating with a known apostate” is the reason most frequently given. So now any active, believing member of the church can be disciplined for befriending a non-member. Denver Snuffer clearly has such a testimony, and he bears it frequently. But because he is a non-member (through no choice of his own) you can now get called into the Church principal’s office and get suspended or expelled just for being in the same room with this guy. Someone on LDS Freedom Forum gave what I felt was a fairly apt analogy of the role of a prophet. He describes the prophet as similar in a way to the spokesman for the president of the United States. The president gives the spokesman a message to deliver, and he goes out and delivers that message on behalf of the president. That's it. The messenger doesn't all of a sudden start presiding over the executive branch of government. Nor does he convey his own opinion and try to pass that off as the words of his boss. He delivers only the message he's been sent to deliver, and goes no further. No one follows him home to find out what else he thinks. There's quite a bit more in the Bible Dictionary regarding the role of a prophet, and as it happens, nothing in there bears much resemblance to what we have today; a corporate CEO who shows up to offer the dedicatory prayer over banks, and participate in ribbon cutting ceremonies for lavish shopping centers. Joseph Smith not only didn't think his role included making celebrity appearances at store openings, he didn't even believe it was his place to run the church. Unlike the constant mantra we hear today to “follow the prophet,” Joseph vigorously insisted the people stop looking to him. He told them their dependence on him was the very thing that was causing them to be darkened in their minds. He tried repeatedly and in vain to get the members to depend upon no man, especially not him. Joseph Smith did not head up a hierarchy. Where today the Ensign publishes a fold-out flow chart suitable for framing with the First Presidency at the top, followed by the Twelve Apostles, with the Quorums of the Seventy taking direction under the apostles, and the Relief Society as some awkward appendage to them all, Joseph Smith taught something different. All quorums were independent of each other. No position held status over another (not even the First Presidency, and especially not the Twelve Apostles, whose job it was to be the traveling elders, not some group of managers sitting around a boardroom at Church Headquarters). No division was answerable to another -not even the Relief Society, which was supposed to be completely independent of the male priesthood. There was to be no hierarchy in the Church of Jesus Christ. It was a flat organization, with no one at the top “in charge” of anyone else. No member was subject to another, and no leader had authority over any member. A person with a calling had authority to direct only himself in his duties. He could not use his priesthood power to impose his will on others. If he so much as tried, his priesthood was instantly rendered impotent. It was a great source of frustration to the prophet Joseph that instead of each man seeking the will of God in his own life, the people clamored for someone else to tell them what to do. Nearly half the members in Nauvoo were converts from the British Isles, where centuries of dependence on authority was bred into the very culture. After Joseph Smith was murdered, the vast majority of these converts looked to Brigham Young to lead them. We tend to forget that Brigham Young was not chosen to preside over the church by way of any revelation from God. He was elected by a slim majority of members after vigorously campaigning for that position. And even then it wasn't Brigham Young who the people selected, it was the entire quorum of the Twelve as a body, of whom Brigham Young was the Presiding Elder. Brigham Young was never ordained a Prophet, Seer, and Revelator; after the deaths of Joseph and Hyrum, there was no one left on earth who had those keys. Brigham even denied having the gifts that Joseph was blessed with. Nevertheless, over time we have been taught that Brigham Young was a prophet equal to Joseph Smith, until today our traditions hold that every man who attains the position of president of the Church has gifts and authority equal to those held by the founding prophet himself. 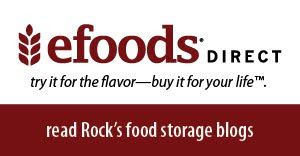 This belief is wholly unsupportable. We have absolutely zero historical evidence to back up these traditions, and we certainly don't see evidence of these gifts in our current leaders. Consider that not even our pioneer ancestors referred to Young, Taylor, Cannon, Woodruff, et al as prophets of God. In those days, the people called them presidents, not prophets. They presided over the church, but I am aware of few revelations received by them that were conveyed to the people as in Joseph Smith's day. “In order to be a revelator, one must be a prophet and a seer also. It is not enough merely to have revelations, as all members of the church should have them. Rather, it is to tell others through the power of the spirit what has been revealed to you. If Joseph Smith had kept to himself what was made known to him, he would be a prophet and seer only. But, because what has been made known to him was made known to us, he is a prophet, seer, and revelator. Or it could be that the Lord has not seen fit to reveal anything in our day for reasons He already revealed long ago? We seem to have forgotten the Lord declared the whole church to be under condemnation. I would think that would include the Church's leaders. Hoooo-chee, Mama! Remind me not to cross that guy. 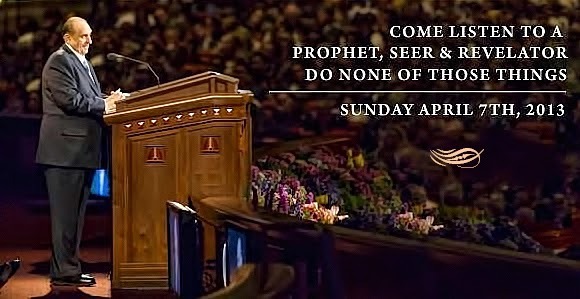 David Bednar is so fully convinced of his special place in the firmament that if you forget to address him with the proper degree of deference, he will dress you down one side and up the other right in front of the the whole assembly! Bet you won't make that mistake again. Here's my favorite part of this story: later that weekend in a training segment with the youth, Bednar sprinkled his conversation with words such as “dude, rad, gnarly, and freakin” so those kids would think of him as just one of the guys. Why Not Simply Heed The Message? Denver Snuffer has never claimed to be a Prophet, Seer, and Revelator, so David Bednar, you and the boys in Salt Lake can breathe easy for now. Denver Snuffer is not after your jobs. But he did have a message to deliver, and the last part of that message was presented at Phoenix, Arizona on September 9th. In a nutshell, the message was this: if we are to aspire to a Zion society, now is the time to dig in and get started. Waiting for the institutional Church to give us the go-ahead is not going to make it happen. And guess what? Zion was never intended to be instituted from the top down anyway. In fact, it could not be Zion if it was. Zion has failed to appear thus far because the Saints have been waiting around for their leaders to start it up for them. It's been almost 200 years, and we'll wait 200 more if we refuse to simply follow the plan the Lord has already laid out for us. You can read the Phoenix transcript for yourself here. But it won't have near as much meaning if you don't take a look at the nine lectures that preceded it. These talks, as Denver frequently reminds the listener, are intended to be seen as ten interrelated segments of one master presentation. They must be heard or read in their entirety and in the proper order if you expect to fully grasp the message. How do we create Zion? Well first off, you don't do it by quitting this church and joining a new one. That's what so many outsiders feared Denver was up to; that his plan was to siphon off loyal latter-day Saints and start his own church. That's hogwash -the kind of nonsense that results from the current LDS corporate think, the idea that a prophet is some guy who has a bunch of followers who can't function unless they have a leader to look to for instruction. Denver Snuffer has no followers, nor does he want any. In fact, an interesting thing happened as soon as Denver was finished speaking in Phoenix. He up and walked out the door. That's right. He just left. He had left his audience with a thousand questions they wanted answers to, but like the true prophet he is, he delivered the message God gave him to deliver, and when he was finished he was done. Many of the people who read or listened to that lecture later flooded his blog and email box with more questions. Don't they get it? Denver Snuffer is not going to tell you how to do what the Lord has already taught you to do. He is not going to lead anybody anywhere. He is not going to be your president, prophet, or mystical guru. You want a Zion society? The instructions are in the scriptures. Denver Snuffer helpfully pointed those scriptures out to you. Now he's done. What more do you want? If you're looking for someone to take charge and lead you, you may as well continue on the path you've been following. You've had people willing to take charge of you and lead you all your life and you're no closer to Zion now than the Saints were in 1831. What's it going to take for you to wake up and realize you don't need leaders in order to accomplish the Lord's purposes? Looking for someone other than Jesus Christ to be in charge of us is the very thing that has hampered this church for a hundred and eighty two years. I am now encouraged that it's possible create Zion in our day. If anyone reading this is truly interested in doing that, I would suggest simply going to the source and reading the transcripts Denver Snuffer provides on his website, beginning with the first one he gave in Boise Idaho, and ending with the one at Phoenix, Arizona. You'll find them listed in order on the right side of his website. Do not rely on anyone else's summary or truncated interpretation of what Denver believes or what he preaches. I guarantee you will get it wrong. I had intended to supply some snippets of quotes from the Phoenix seminar, because it's so rich in wisdom. But then I realized that offering snippets of things Denver Snuffer said has been part of the problem; it's very easy to misinterpret what he says if you don't hear or read it all in context. That pretty much covers the essentials of what the Lord would have us know and do, front to back. And it's all very fascinating; you won't want to stop. There's nothing tedious about Denver Snuffer's teachings. If you want a deeper understanding, then go ahead and read the entire standard works. But when you do I think you'll be glad you had a guide like Denver Snuffer to point out the good parts for you in advance. I highly recommend not only reading the transcripts, but also listening to the audio recordings, because Denver has a droll sense of humor that does not always translate to the written page. If you don't hear the inflections in some of the things he says, some of his comments could be misinterpreted, and you might take too seriously some of the things he says in jest. I like listening to the audio version of the talks first, then I read them so I get the footnotes. Let me make a couple of things clear: First, Denver Snuffer is not looking to lead any kind of movement. The very idea repulses him. follower of Denver Snuffer, run the other way. He's either a phony or he just doesn't get it. Those who attended Snuffer's lectures are not Denver Snuffer's followers. They consider themselves followers of Jesus Christ. Some years ago while reading a book on early American history, I was struck by a letter sent back to England from one of the colonial governors assigned by the King of England to govern the colonies. He was lamenting the fact that the American colonists refused follow his orders. Yes, I made a joke. Of course Denver Snuffer's words are more inspired than anything you'll hear in conference. [A note about leaving comments: Many readers have posted as "Anonymous" only because they see no other option. This has resulted in an epidemic of commenters all going by the same name, which can be confusing. I would prefer everyone use some type of username, therefore any comments posted only as "Anonymous" will be deleted. If that happens to you, you are welcome to return and post again, but you must use some kind of username at the beginning or end of your comment. If you don't have a Google, Wordpress, or other username among those listed, you can enter a username in the dropdown box that reads "Name/URL." Simply put your name in the "Name" box, ignore the request for a URL, and you should be good to go. If the system still insists on a URL, enter any website you care to. If you can find no alternative but to post as "Anonymous" I require you at least sign your comment with a unique identifier so that other readers can tell one "anonymous" from another.